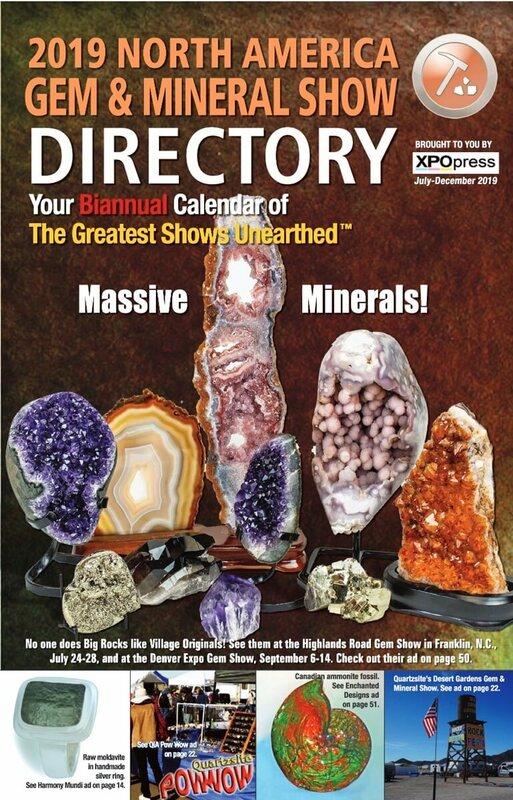 The North America Gem Show Directory (formerly the International Gem Show Directory) is the most complete, comprehensive, updated and accurate printed database in the world — a biannual calendar — of shows that sell and exhibit "shiny rock treasures." These shows truly "rock," and they'll probably never die, unlike the demise of many other kinds of trade shows and expos due to the internet takeover of countless marketplaces where we used to attend and buy products. Why will the gem and mineral show survive? Because folks need to see, touch and bond with their stones before they buy 'em. An internet purchase just won't do! 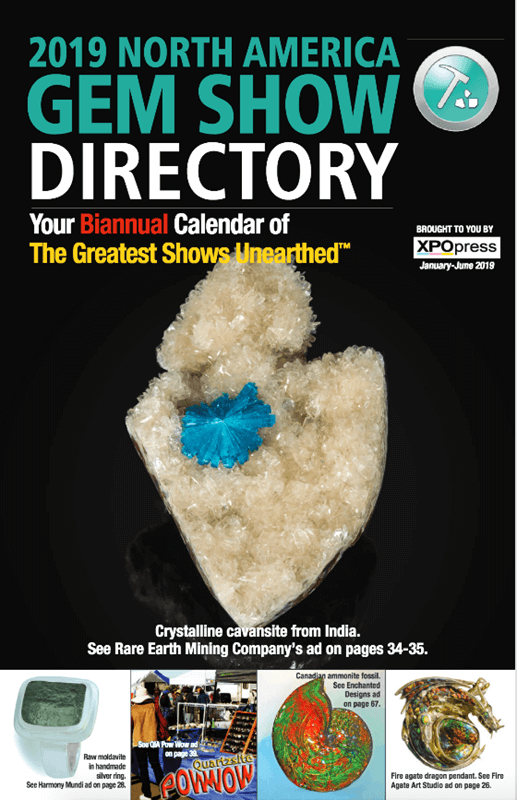 So, 15,000 Directories are distributed annually at top gem and mineral showcases* in the U.S. (i.e. 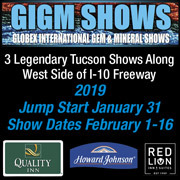 Tucson, Denver, Quartzsite, Ariz., Franklin, N.C.) and at many more smaller shows in North America — 10,000 are distributed from January through June, then another 5,000 are printed in June with updated show dates and are distributed from July through December. 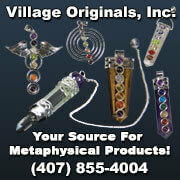 If you know of a show that we haven't included in the Directory, let us know. * What's the difference between a "Show" and a "Showcase"?